We are a multi-site nursery providing childcare to Herne Bay and the surrounding areas. Our Day Care Centre and Baby Room are open 50 weeks per year, caring for children aged 6 months to 5 years. Our neighbouring Pre-School Centre is open during term time, providing care to children aged 2 to 5 years for 38 weeks per year. At Kiddies Corner we embrace the uniqueness of each and every child. We believe that positive relationships with adults enable children the opportunity to develop to their full potential, in an environment full of rich opportunities and stimulating activities. To find out more about our facilities, prices, and a typical day at nursery, click on the boxes below. Our Baby Room is open 50 weeks a year from 8am to 6pm, caring for babies from 6 months to 2 years. Take a look at our brand new facilities. Our Day Care is open 50 weeks a year from 8am to 6pm, caring for children aged 2 to 5. 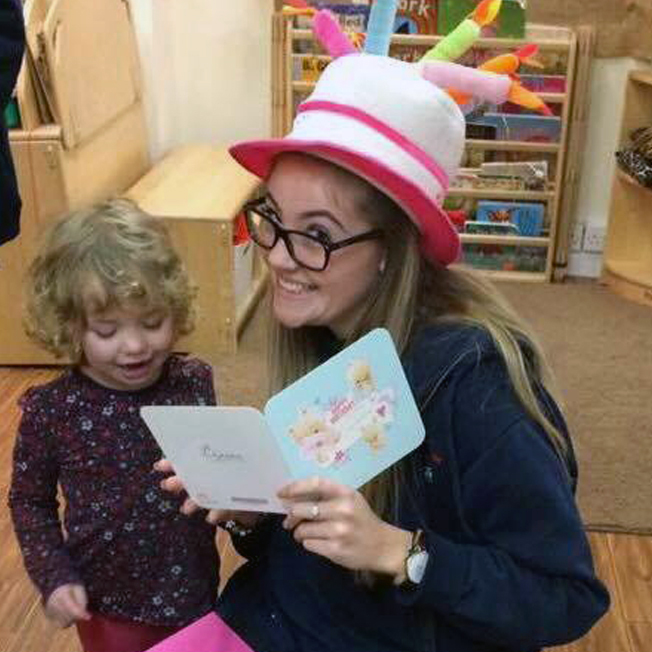 Find out more about a typical day in our day care centre. Our Pre-School centre is open 38 weeks a year from 9am to 3.30pm, caring for children aged 2 to 5. Find out more about our pre-school facilities. Our pre-school site was very proud to receive an 'OUTSTANDING' grade when inspected by Ofsted in October 2016! The inspector specifically noted that teaching is of a consistently high quality and parents are fully involved in their children's learning. Cannot recommend the day care setting enough. My son was incredibly shy when he started at two and his progress in his first year into a confident, outgoing and happy child is a joy to see. The children receive personalised care and support from the most fantastic team you can imagine, we are delighted with it. Amazing staff! The ladies working here have gone above and beyond to meet the needs of my son, who loves his time spent here. Would recommend to anyone. Thank you guys for everything. My little girl has been attending since she was 2. When first looking at nurseries I wasn’t sure what I was meant to look for. Kiddies corner was the third one I looked at and new instantly it was what I was looking for. Kind and caring staff not just doing the ‘ 9 to 5’, they go above and beyond. My daughter started in the baby room in September 2018, just before her first birthday. Ella has loved going to nursery & had a lovely bond with her key worker Sarah and the other girls who work in the baby room too. Ella has learnt so many new things and can only thank the ladies for helping her learn these new things - 100% recommended. Absolutely outstanding! I currently have 2 children at the pre school setting and i intend for my third to go too. Staff are excellent with my girls and my children speak of them very fondly. My girls are always coming home with something new they have learnt. My youngest would not get her hands messy before she started just a couple of months ago but now the messy play is the first things she goes for! Kiddies Corner provides childcare to Herne Bay and the surrounding areas. We are open 50 weeks a year, and care for children aged 6 months to 5 years. Stay up to date with us on Facebook and Instagram.